Bruckner is of course familiar to brass players through his symphonic writing, but he was also a prolific composer of sacred vocal music. 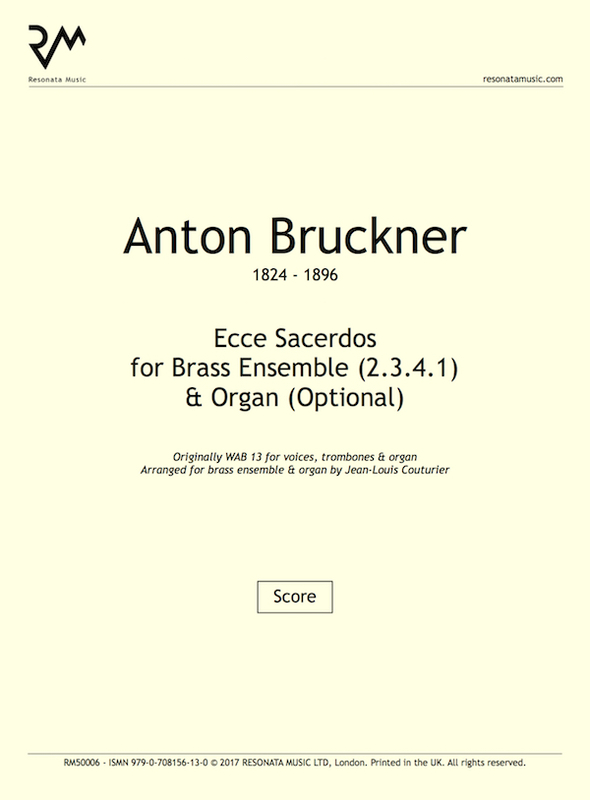 Ecce sacerdos is intended for use at the reception of a Bishop, and as such Bruckner’s setting of the text is fittingly grand and majestic, with moments of tenderness. 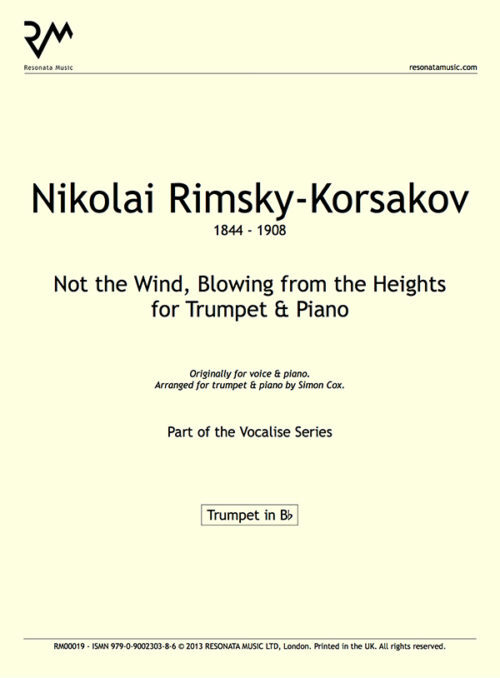 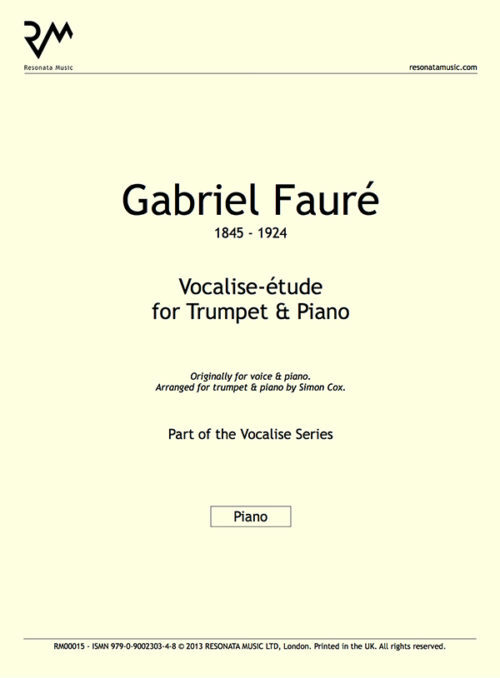 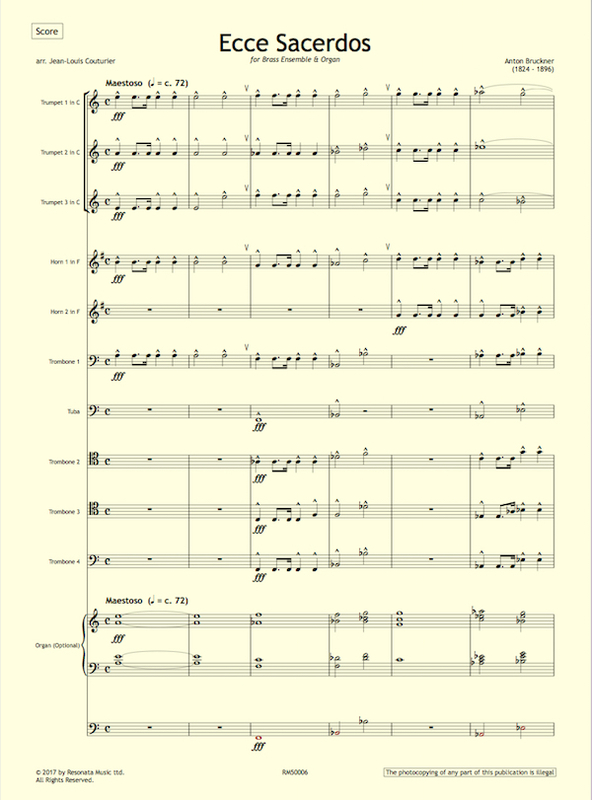 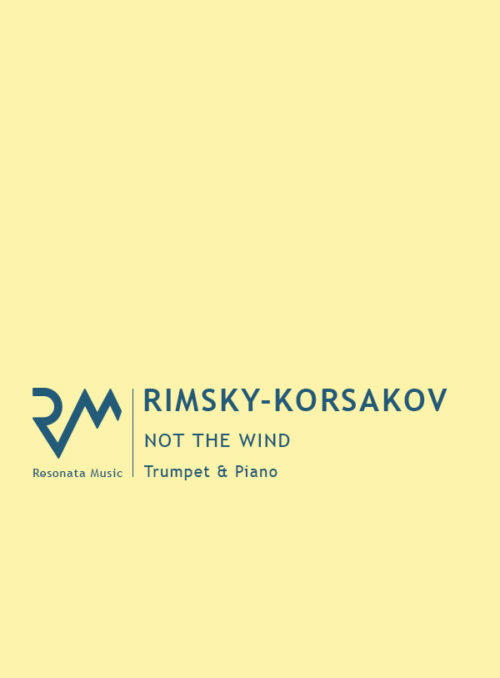 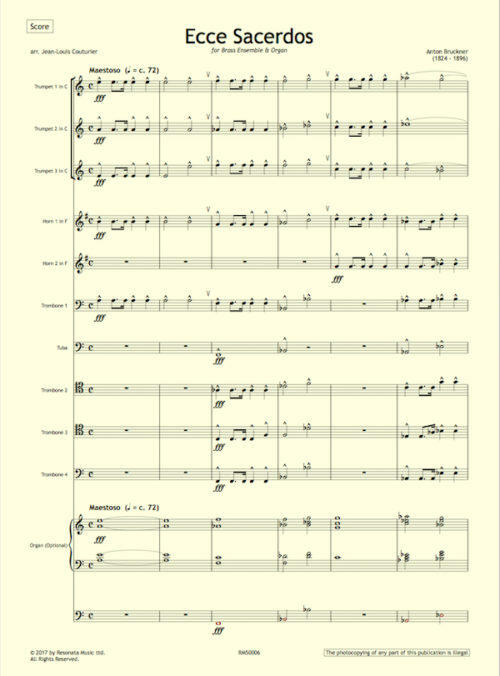 The original calls for voices, trombone and organ; this version can be performed by brass alone, with the option of including the organ part. Performers should be aware of when they are playing a vocal or brass part in the original, and adjust their style accordingly.